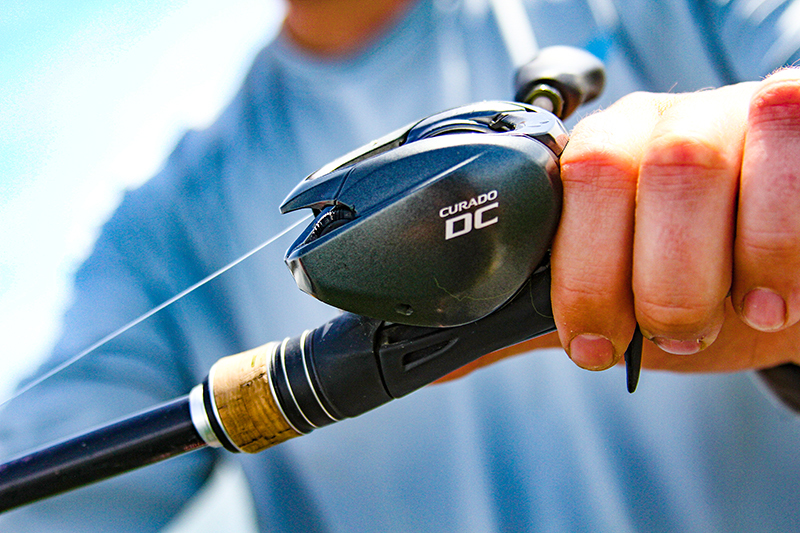 Over the last decade we’ve seen an incredible advance in the technology of fishing reels. From freshwater to inshore to blue-water fishing, things have come a long way in what feels like a hurry. From faster speeds, to stronger components, to lighter materials and a combination of all three, fisherman across our great country have been blessed with an opportunity to see their dollar go in a great direction lately. Regardless of these advances we all know and most can agree that what we work for is precious and we all want the confidence that it’s going to take care of us when needed most and for as long as possible. Another thing I liked about this reel is that it carries that long standing work horse feel that the Curado has a strong history of. The DC component is fully protected and sealed by the side plate that isn’t built for removal. With a computer driven, digital breaking system, gone is the need to remove a side plate and adjust magnetic or centrifugal breaks. This brings some assurance the strength and security of this reels feature component. Though this reel is not one of the lightest out there (7.8oz), it’s still not what most would consider heavy. When combining the reel weight, strength, features, and capability, it’s very easy to see why this one has garnered so much recent attention. I see this reel really fitting well in any application where normal to long casts with normal to larger sized lures come into play. As I mentioned earlier, I think the standard model (6.2 ratio) will be a great pick for all the cranking fanatics out there and especially the deep cranking gurus. The HG (7.4 ratio) will be very applicable to all bottom contact presentations and moving bait presentations and the XG (8.4 ratio) will be applicable to the same along with topwater presentations. After using my HG model on the last few trips I’ve made this month, I can already tell I’ll be picking up another one of these. I think it’s a very well made product with great features that’s applicable to anyone who enjoys bombing one out there.